Dr. Baremboym is a Chiropractic Physician treating patients in the communities of Clark, Rahway, Linden, Cranford, and the surrounding areas of Union County and Central New Jersey. He is certified by The National Board of Chiropractic Examiners. 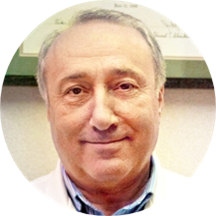 Having first received his medical degree from Odessa Medical School in Ukraine, Dr. Baremboym continued his medical education at the Palmer College of Chiropractic, where he received his Doctor of Chiropractic degree. Dr. Baremboym's unique expertise in both medical and chiropractic fields help him practice with a deeper understanding of his patients' needs and pinpoint the exact kind of treatment they need so they can enjoy a positive and fulfilling life without pain. His mission is to provide unparalleled, individualized, patient-centered care. Dr. Baremboym uses functional, evidence-based treatments to help patients recover quickly through our holistic approach to achieving wellness of body and mind. At Advanced Chiropractic Health Care, LLC, Dr. Baremboym sees patients for a variety of chiropractic reasons including back pain, hip pain, neck pain, headaches, scoliosis, shoulder pain as well as many other conditions caused by accidental injuries or other everyday wear and tear of the body. He continues his education through meetings and courses on new developments in Chiropractic medicine with the neighboring Associations of Chiropractic Physicians. Dr. Baremboym is trilingual in English, Russian, and Ukrainian. His awareness of these languages makes him accessible to patients from a variety of cultural backgrounds. All of our sessions are hands-on, and offer one-on-one time with Dr. Baremboym to create a treatment precise to your needs. Dr. Baremboym is a frequent contributor to www.NJ.com and Suburban News with articles regarding Chiropractic care, wellness and general information about wellbeing in our fast paced world. I highly recommend this doctor, he did a great job fixing my neck/shoulder pain. Very professional and polite. He was able to see me the same day I made the appointment. he's very serious in personality. BUT my neck and back felt better only with two sessions. The Dr. was very professional and thorough. He was kind and personable. He listened intently to my concerns and reasons for coming in to see him. He was able synthesize the information and outline a plan of action. He gave meclear instructions to follow should I want to continue treatment. He examined me and treated the discomfort in my neck before sending me away with my prescription for x-rays I felt physically balanced and hopeful when I left the office! I suffer from neck pain and migraines. My first treatment gave me relief. He is very knowledgeable courteous and attentive. I highly recommend Dr Baremboym. Doctor Michael Baremboym very professional ,highly recommend for everybody.Visit excellent,i'm very happy.. He is great! Super nice, very professional and good at what he does. I feel better after one visit!!! What a horrible experience! Dr. Baremboyd was rude, condescending, and unprofessional. I scheduled a chiropractic consultation because I was having pain and popping in my lower back. My husband came with me because he was concerned. Dr. Baremboydwas annoyed that he came, made him remove his coat before going into the examination room with me, and barely acknowledged him. I didn't even have a consultation! He asked me what wrong and then proceeded to examine me. He twisted my body quickly, causing me pain. He didn't even apologize. Then he said he was going to begin treatment and didn't explain any of the procedures. I was sent for x-rays. He didn't even have a regular prescription pad. I couldn't go where I wanted to. It had to be a facility that he had a pad for. The following day, I scheduled the x-rays. He NEVER followed up or called me with the results. I saw my medical doctor and she sent me for a MRI. Thank goodness I saw her! I have a multitude of injuries. I'm going to an orthopedic doctor now. Beware of Dr. Baremboyd. Doctor was honest and informative Was a very good first visit. Dr. Baremboym was very friendly, knowledgeable and professional. I highly recommend him! This was just an initial visit for a consultation. Dr Baremboyn was very professional, prompt to see me and I already feel better after my first visit! Immediate relief after the first appointment. On time. Lot's of parking. All up to date technology to compliment physical spine adjustment. Best visit I've ever had with a Doctor. My back is feeling much better after my visit, I slept without pain! Thanks again. pain is gone after 2nd appointment, many thanks to doctor Baremboym, he is really professional and know pain-management better than others. Dr. Baremboym has been great. I've seen him several times now for neck and shoulder pain. He listens to your complaints and asks insightful questions. He worked out a good treatment plan for me that fit within my schedule, and didn'tdo any unnecessary tests or treatments, just what was needed. The night after the first visit I was feeling visibly better, I slept without neck pain for the first time in months!! I highly recommend him. He is very experienced and truly cares about his patients well being!! Very professional approach and pleasant atmosphere.